Ocean Ophthalmology Group (North Miami Beach) - Book Appointment Online! 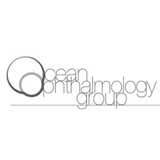 Ocean Ophthalmology Group, established in 2009, is a multi-subspecialty private practice located in North Miami Beach. Consultations, testing, and minor procedures are performed in this office by Dr. Pelletier. Major surgery and specialized testing that is not available at Ocean Ophthalmology will be performed at one of our additional locations which include North Miami Beach Surgery Center and Bascom Palmer Eye Institute. The staff was great . Dr. Pelletier answered all of my questions and any concerns I had he met them.